AirGuard – Fit for TPMS! 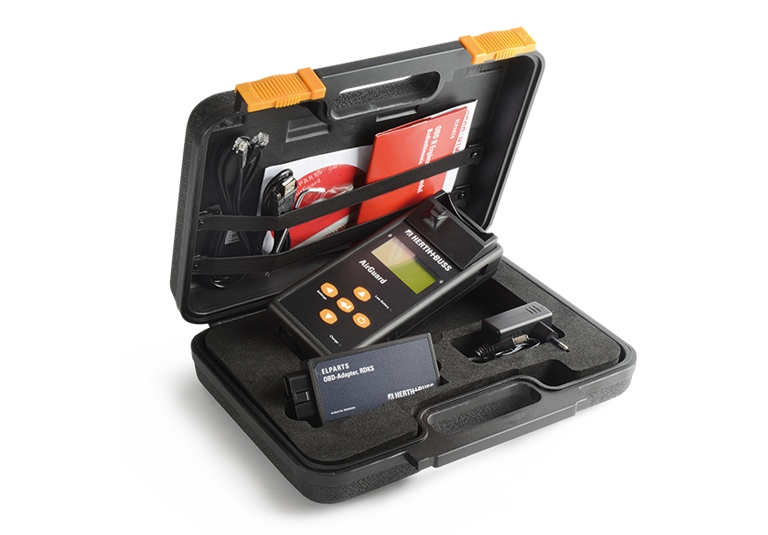 We can offer a comprehensive product range for all aspects of TPMS. Our AirGuard is a programming/diagnostic unit for TPMS and makes it possible to perform work on the vehicle without an Internet connection. 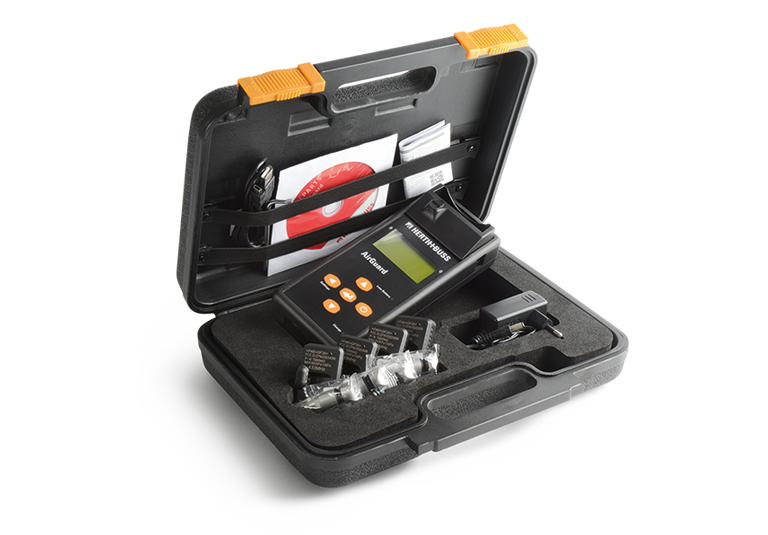 It can read out all sensor types on the market and then copy the data either manually or automatically to the Herth+Buss wheel sensors. We recommend this to all workshops, petrol stations and tyre retailers who want to branch out into the TPMS business. Many vehicles need to be taught-in using OBD after the wheel sensors have been programmed and mounted. All vehicles in model classes M1 and N1 registered for the first time since 1 November 2014 must be equipped as standard with a tyre-pressure monitoring system (TPMS). This relates specifically to passenger cars, mobile homes and commercial vehicles with a total weight of less than 3.5 t and licensed to carry up to eight occupants. Road safety is one of the reasons for the new directive – tyre leaks are recognised quickly and automatically by the sensor. Another reason is that correctly inflated tyres reduce fuel consumption and hence CO2 emissions. What are the minimum requirements to be observed? A warning must be provided as of a pressure loss of 20 per cent or a tyre pressure of less than 1.5 bar. A defective tyre must be detected within 10 minutes. If all four tyres are affected, the time must not exceed 60 minutes. A defective system component must be displayed within 10 minutes. The TPMS must function as of an average speed of 40 km/h. What are the consequences for workshops? The replacement of TPMS wheel sensors is a source of additional business and greater customer loyalty for independent workshops and tyre services. The number of new cars with TPMS will increase dramatically and thus also the demand for winter tyres for vehicles which then have to be retrofitted with TPMS. Workshops and tyre services therefore have to adapt to this new situation. 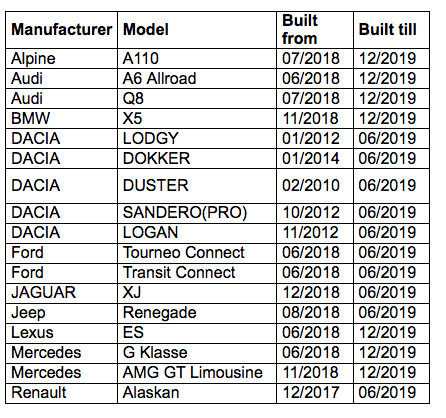 Which system do vehicle manufacturers tend to opt for? Vehicle manufacturers tend to opt for the active measuring system using radio sensors. This is relatively faster and more precise than the passive measuring system using ABS/ESP. Which languages are programmed on the AirGuard? German, English, French, Spanish and Slovene are currently available. If there is a demand for the addition of further languages, these will be provided via an update on the website. Can sensors from other manufacturers also be adapted with the AirGuard? The AirGuard concept is a self-contained system. Other manufacturers can only be read out. Programming third-party sensors is not possible. What happens if the desired vehicle model cannot be displayed? If the vehicle model is not present, reference can be made to an older model. 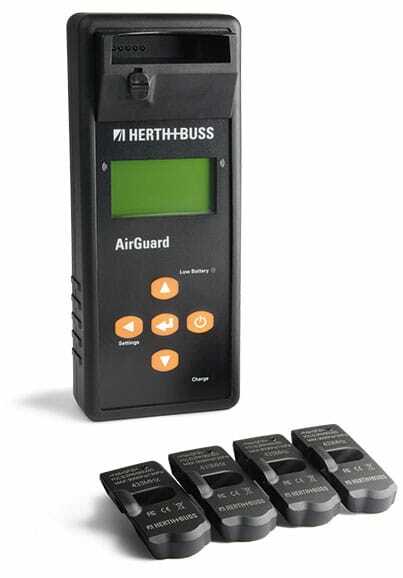 Please always refer to herthundbuss.com/AirGuard#update to check that you have installed the latest update. The AirGuard can read out sensors and copy the data to Herth+Buss wheel sensors, or program Herth+Buss wheel sensors for vehicles which are equipped with tyre-pressure sensors as standard. All available vehicle data are installed on the unit. Updates are available at any time free of charge. Wireless reprogramming the sensor ID of activated Herth+Buss wheel sensors while still installed is also possible. 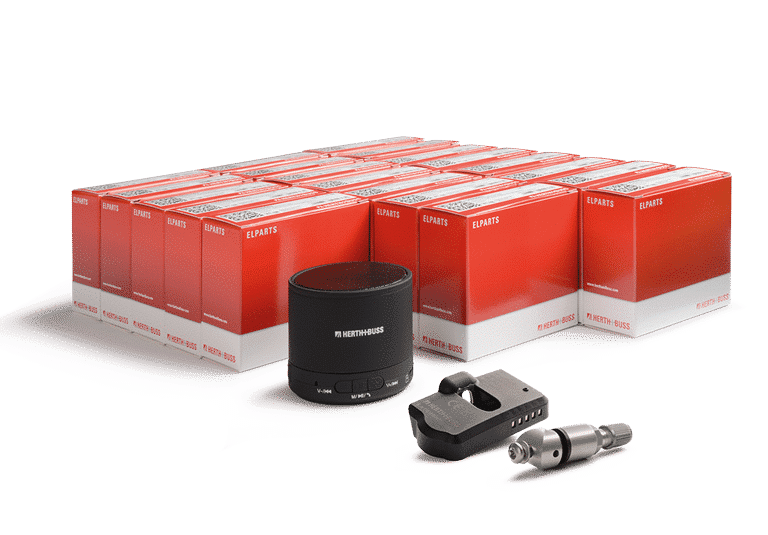 The universally applicable wheel sensors from Herth+Buss come in a bundle: alongside twenty sensors with a complete aluminium valve, the bundle also contains a mobile speaker. As is the case for the wheel sensors contained in this bundle, information is transmitted to the Bluetooth mini speaker via radio. The OBD adapter is an expansion to our AirGuard TPMS programming/diagnostic unit. It may only be used together with the AirGuard. Updates are carried out via our website by entering the module serial number, which can be found on the rear of the adapter, and by using our update software. 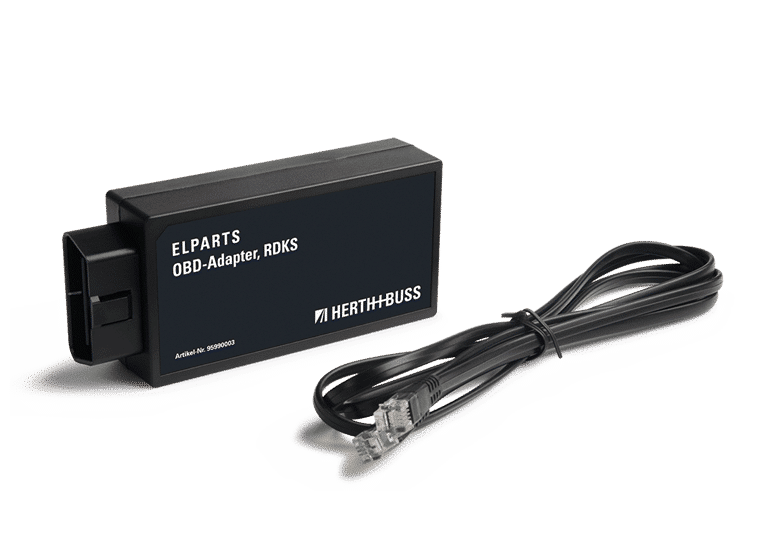 Is the Herth+Buss wheel sensor available as a retrofit solution for vehicles without TPMS? No. Herth+Buss wheel sensors are only to be used for vehicles fitted with TPMS by the manufacturer. How long is the service life of a battery installed in the sensor? Can the battery be replaced? The service life of the batteries in the sensor is 3 to 7 years. The battery is permanently encapsulated in the sensor and can therefore not be replaced. Can the vehicle data in the sensor be deleted? No. The data can be overwritten any number of times. Can the sensor be adapted to any rim? Yes, the sensor angle adjustment can be set as required. Which functions does the adapter have? How do I operate the adapter? The adapter can only be operated by connecting it to our TPMS programming/diagnostic unit, the AirGuard. It is a supplementary unit for this. How are the adapter data updated? Updating is performed by downloading the update, as for our AirGuard TPMS programming/diagnostic unit. See below. What do the updates cost? The updates are free of charge. See below. The AirGuard software is updated by us at regular intervals. You can consult the vehicle list to find out which new vehicles have been added. Get your AirGuard up to date! A help video shows you how to update the firmware.